My brother Bryce and I have played soccer from a very young age and we have been very fortunate to have the opportunity to play with equipment and against other teams in an organized recreational league. This has helped us learn how to work together and taught us many other skills that we use in school and outside of it on a daily basis. Although we have had the chance to play the glorious game of soccer with quality equipment and community support, many children are not this fortunate. When we were on vacation in Costa Rica a few years ago, we met a young boy named Pedro, who was 9 years old and practicing soccer on an open field in his town. We had gone to the field for the same reason as Pedro. We quickly noticed that his equipment was of very low quality and he did not own cleats, shin guards, or a ball meant for soccer. We practiced with Pedro and then left him our soccer ball as a gift when we left to come back to America. When we got back to the U.S., we realized that we had done a lot more than just given away a soccer ball. We had given a young boy the ability to play soccer. This was good, but we knew we could do more than help one boy. Hundreds of thousands of children growing up in impoverished regions of the world may never have the chance to play the game without the resources that we possess.This is when we decided to step in and provide them with the equipment needed to enjoy the game of soccer. 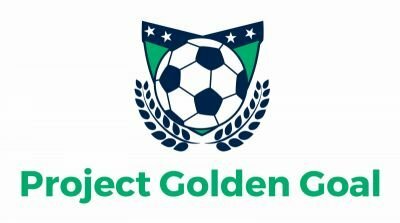 Project Golden Goal is our way of giving back to the world for all of the opportunities it granted to us throughout our childhood. By providing equipment for thousands of children, we hope to also provide them with the life skills that come from playing the game of soccer.